The Orcish wasteland is a dangerous and unforgiving place and the weapons that its cruel warriors wield often reflect who they are. Show everyone how rough and dangerous you are with the Ready for Battle Choppa Orc LARP Sword! This rugged LARP weapon is made from a closed cell foam with a fiberglass core and a latex coating. 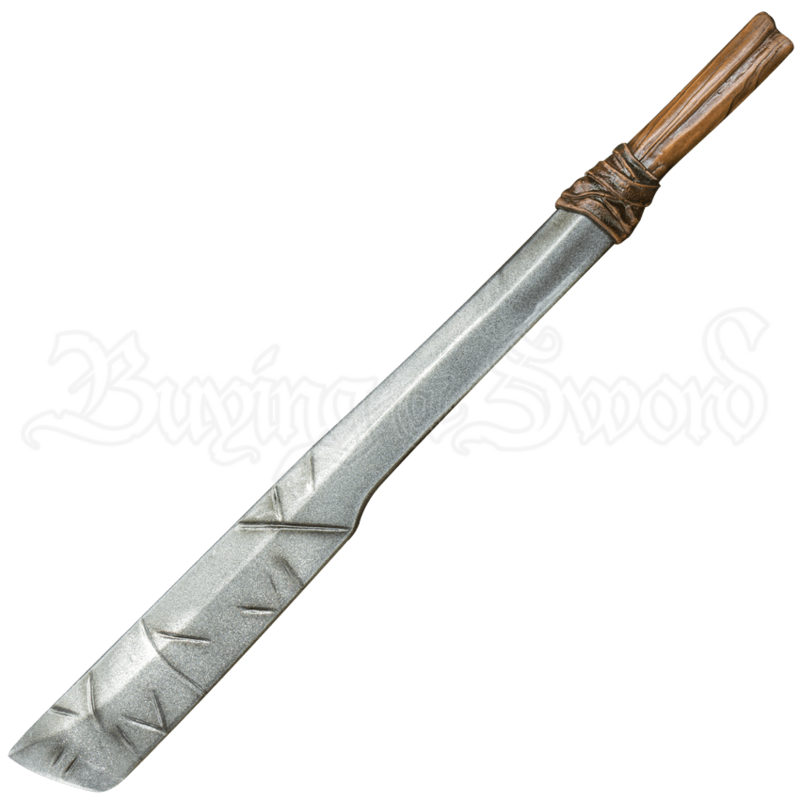 The blade of the sword is made to look like dark metal and has been hand painted to appear badly damaged and scarred. The cast polyurethane foam handle that it is attached to is made to look like dark wood, complete with wood grain patterns, and appears to be attached to the sword blade with dark leather wrappings. This Ready for Battle weapon is perfect for both LARP and cosplay outfits, and will bring a savage flair to whatever you pair it with! This latex-hybrid weapon is approximately 27.5 inches in overall length. This measurement will vary as each LARP sword is a handmade item.